Why? 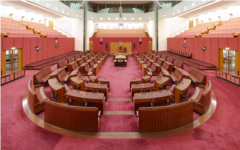 – it takes 500 people to register to enable us to run as a team for the Senate, where we can help ensure the major parties do not have an absolute majority. Your participation makes this initiative possible. It is up to you. The 500 who sign on can participate at any level of involvement they wish. The 500 will also become – should you wish to participate – a sounding board on issues. Australian citizens or any registered to vote. Graeme Cordiner 13 Gerard Street Gladesville 2111. Do I have to do more? No. For some signing up is all they want to do. That is valuable and of itself a great help. It says ‘party’ on the form. But AIM is not a party. That is right, but this is a legal requirement to have a name on the ballot paper. Though we are not a party, for registration purposes this is form we must use.